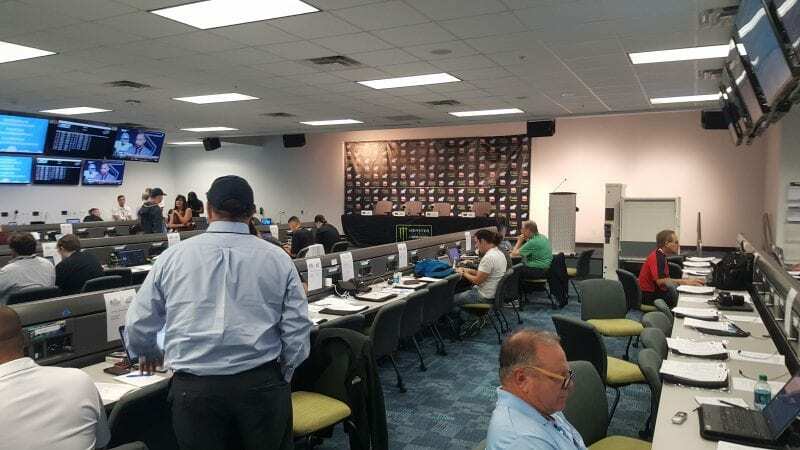 The interview room in the Media Center at Homestead-Miami Speedway is the center of activity Friday as NASCAR’s Championship Weekend kicks off. Monster Energy NASCAR Cup Series drivers practice and qualify this afternoon. But, the morning is devoted to press conferences. The Dale Earnhardt Jr. Appreci88tion Tour makes its final stop as NASCAR’s most popular driver hangs up his helmet. Emotion is thick in the air as Dale Earnhardt Jr. sits down to answer questions about his final start in the Cup Series. 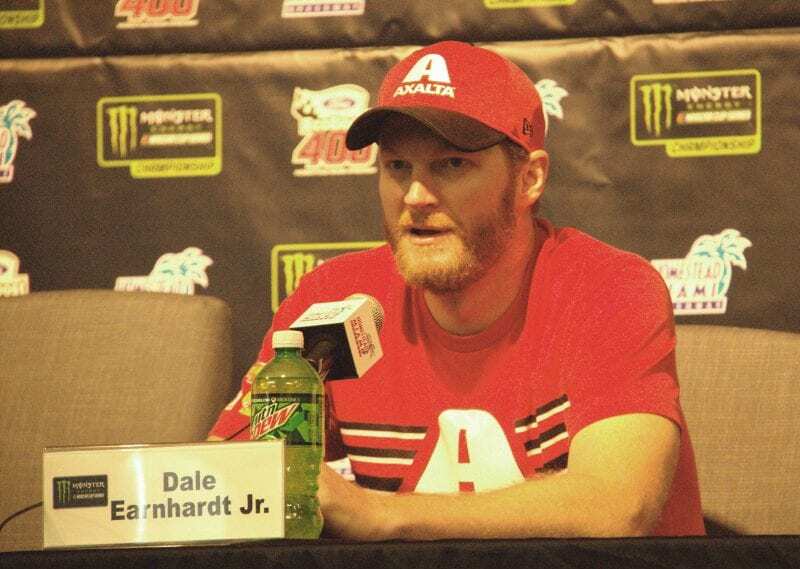 Dale talked about the concussion injury that almost ended his career last year. His decision to come back for one more season to walk away from the sport on his own terms. 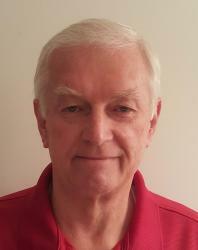 Dale reminisced about the lack of focus he displayed early in his career. And how he wished he done a better job of dedicating himself to the job of driving a race car. He expressed his desire to finish the race, climb out of the car, and walk away. Dale also hinted at a documentary in the works following his final season on the circuit. JR Motorsport has three cars competing for the NASCAR Xfinity Title this weekend. Dale could leave Homestead a NASCAR Champion. But only as an owner, never having won the honor as a driver. Dale talked about friends and family who will be in attendance for this final race. He insists it is time, he has no regrets about retirement. His biggest disappointment would be to have an incident take him out early Sunday. He wants to be on the track at the finish. Yesterday the four drivers contending for the Cup Series Championship held court during Media Day at the Loews Hotel on Miami Beach. Today the team owners of the four drivers spoke to the press and answered questions about preparations for Sunday’s race. Joe Gibbs (18), Tony Stewart (4), Walt Czarnecki (2) for Roger Penske, and Joe Garone (78) for Barney Visser. 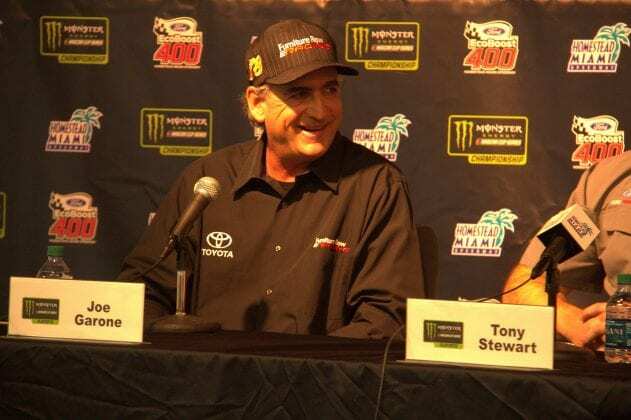 Tony talked about the winning championships as a driver vs as an owner. With Barney Visser recovering from a recent heart attack and surgery, Joe Garone talked about keeping him up to date on track happenings. 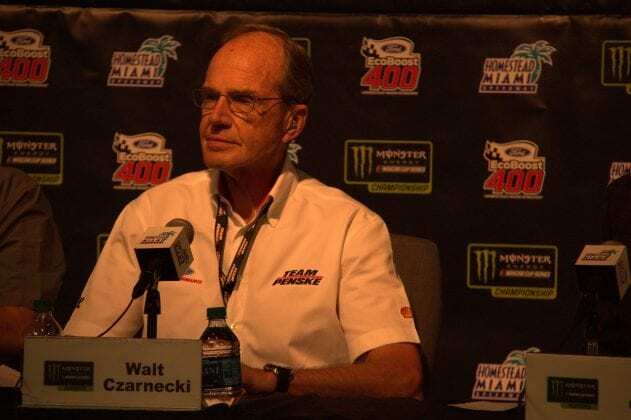 “I text him constantly, everything that happens he is aware of.” Walt took offense to being referred to as an underdog, “I think the playing field is very level.” Joe Gibbs talked about the great opportunity that NASCAR offers to sponsors looking for maximum exposure. 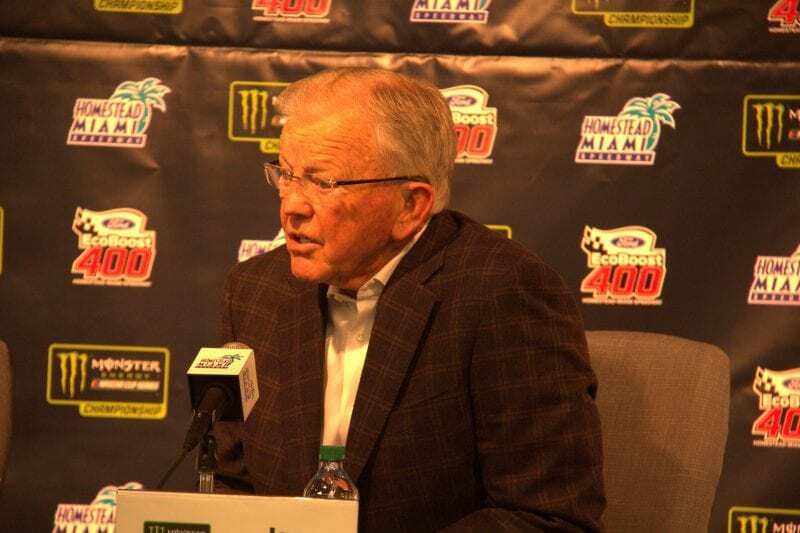 We had the chance to speak with Joe Gibbs after he stepped down from the media dais. Always the gentleman, Gibbs greeted acquaintances and spoke with reporters who posed additional questions. At Phoenix, Joe Gibbs Racing (JGR) driver Denny Hamlin started the race 19 points out of the final playoff qualifying spot. Brad Keselowski held the fourth position and looked to be the odds-on favorite to advance based on points. Hamlin finished second in the First Stage earning 9 points. He won Stage Two and collected 10 more points. Keselowski struggled and failed to earn a point in either Stage. Entering the final segment of the race the two were tied. All Hamlin had to do was finish ahead of Keselowski and the 11 car would race for the championship in Homestead. Two weeks earlier Hamlin and Chase Elliott tangled late in the race at Martinsville. Costing Chase a chance at his first win and a ticket to the Championship Final. Now at Phoenix Chase was making a late run and looked to pass Hamlin. The two again traded paint as Elliott overtook the JGR car. Bumping fenders damaged Hamlin’s car and a few laps later a tire went down and Denny crashed out of the race. Had he just moved over and let the 24 car pass. Focusing on the big picture of making sure he finished ahead of Keselowski. There would have been only three owners on the podium. We asked Joe Gibbs how he would use the events of the past few weeks to “Coach” Denny past this major disappointment in his career. Here is the Coach’s response. Listen carefully the din of the media center adds some background noise. When the original press conference schedule was distributed to the media, Danica Patrick was not on the agenda. An afternoon slot between practice and qualifying was added for a major announcement from the only woman driving in NASCAR’s premier series. In a side of Danica we never see, she quickly lost her composure and teared up. Announcing she was no longer going to compete in the Cup Series. 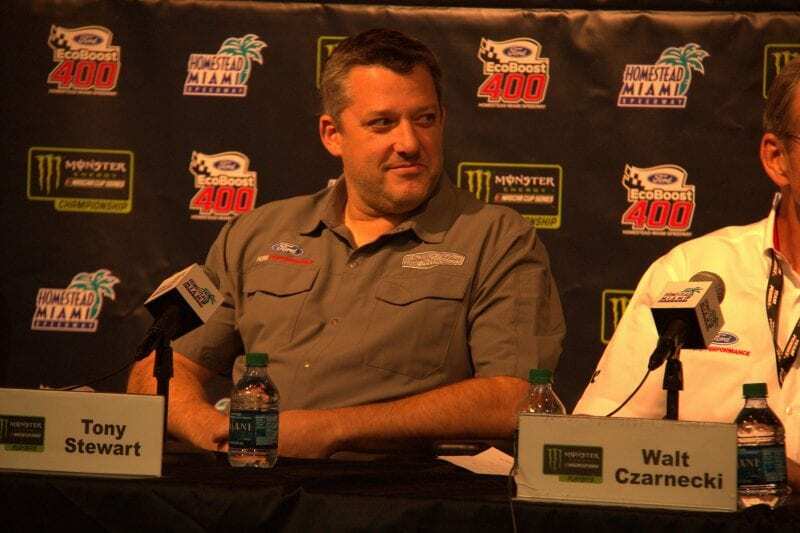 However, Danica announced she would conclude her racing career with an unusual doubleheader. She planned to run the 2018 Daytona 500 and 2018 Indianapolis 500. Concentrating on the two biggest races from the series she has competed in. Details are not yet final. But, discussions with potential teams had progressed enough for her to make the announcement. On the track, the action starts tonight with Monster Energy NASCAR Cup Qualifying at 6:15. Followed by the Championship Race for the NASCAR Camping World Truck Series at 8:00. Christopher Bell, Austin Cedric, Matt Crafton, and Johnny Sauter will compete in the Ford EcoBoost 200 to see who earns the title NASCAR Champion.